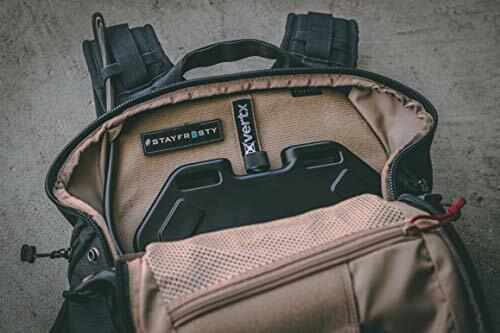 Best Plate Carrier in 2019? For comfort and mobility it seems to be the Crye Precision JPC (Jumpable Plate Carrier) (Buy on Amazon). 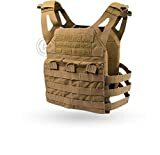 A minimalist plate carrier would be a good option for a home defense plate carrier. But, this is a versatile PC that could be used for: training classes and courses, a SHTF setup, home defense, LARPing, active shooter kit, and more. Plate carriers with plates are popular for training – because the weight of those plates have a big impact on how you move and how you shoot. So, whether you are LEO, Mil, or just a concerned citizen – plan to train like you’ll fight – and that means in your full kit. Fits Chest Size 41" through 45"
Fits Inserts Approximately 10" x 12"
The Crye Precision JPC 1.0 Vest (Buy on Amazon) is a ballistic plate carrier (sometimes abbreviated PC) from Crye Precision. Shown here in Multicam camouflage pattern. NOTE: The Cyre Precision JPC does not come with ballistic plates. Add the 10″ x 12″ plates of your choice. Sizes are based on the size of the ballistic plate. This is the large model – referring to the plate size it will accommodate – not your shirt size. It is also available for medium and small plates as well. The JPC gets rave reviews for being light-weight and minimalist, but durable. The JPC plate carrier itself weighs just over one pound. It is meant for maximum mobility, and packabiity. If you spend a long time seated or are in and out of a vehicle frequently, this is a recommended plate carrier (PC). Is it expensive? Yes. Is it overpriced? No. This is Crye Precision gear which is top notch. The JPC is Berry Act compliant – made in the US with all-US made materials. Includes 3 built-in mag pouches. This is a good turn-key solution that you can use without having to add any extra pouches. There is also an admin pouch behind the hook and loop on the front. There’s MOLLE webbing front and back as well. 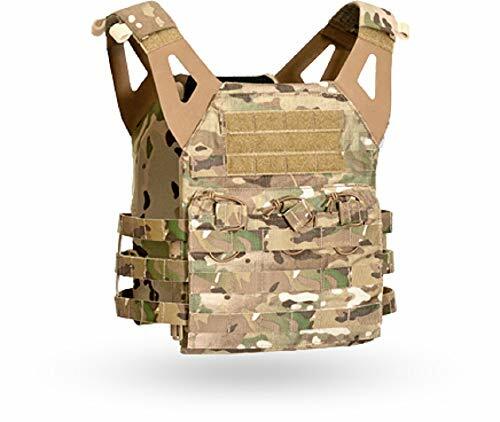 NOTE: The recommendation from the field is to use the JPC as intended, and not overloaded, as it isn’t designed to be a rigorous load bearing system for a lot of weight. For a better foundation for load bearing, check out the Cyre Precision Adaptive Vest System (AVS) Harness system (Buy on Amazon). 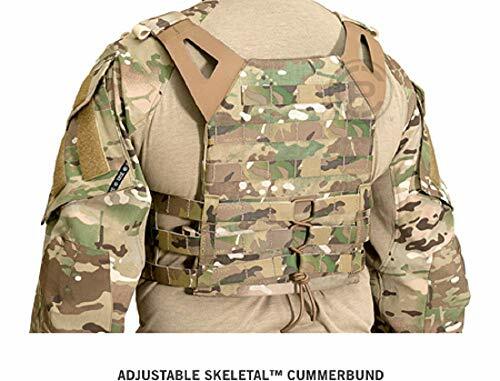 The JPC plate carrier features the Skeletal™ cummerbund system with a patented integrated attachment system that allows pouches to be mounted on both the inside and outside of the cummerbund, shedding unnecessary weight and bulk while improving ventilation. 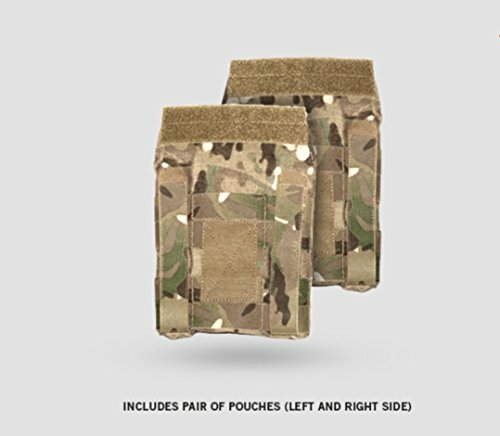 The JPC can be combined with these Side Plate Pouches (Buy on Amazon). These pouches each hold one standalone 6″x6″ plate or one low-vis 6″x6” plus a soft armor backer. The pouch attaches directly to the front plate bag or can be woven onto the AirLite™ cummerbund. These stretch to fit contents. A left and right pouch are included. 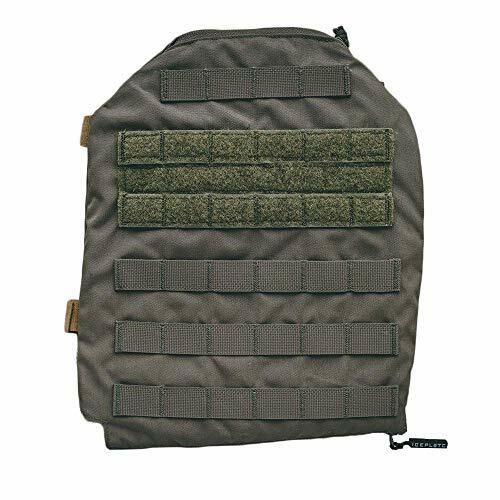 You can add the Haley Strategic Partners Flatpack with Straps, Coyote via the MOLLE on the back. 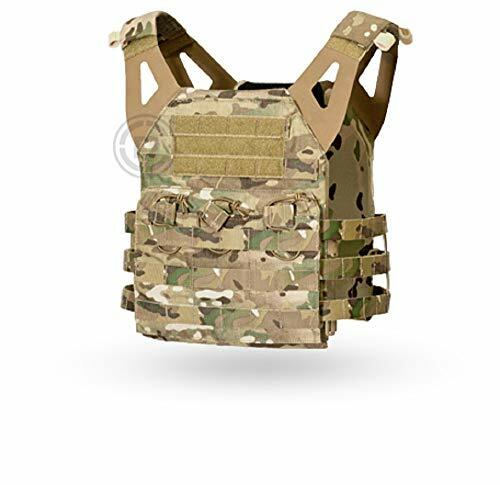 This is a great way to add some assault pack functionality and storage space to your plate carrier. As you can see, there’s MOLLE on the Haley FlatPack that you can use to attach to the plate carrier. The Haley FlatPack is about 600 cubic inches, or just under 10L in capacity. This would be a great solution for combining a hydration bladder with your JPC. Just remember the advice about not overloading the JPC. It’s not meant to be a heavy load bearing solution. Using an assault pack and a plate carrier? Keeping two sets of shoulder straps in place is a challenge – the pack straps tend to slide off the PC straps, and right into your arm pits. 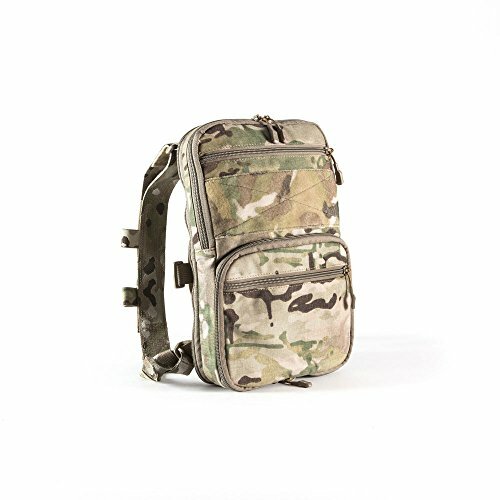 Mystery Ranch has created the Mystery Cinch – you simply weave this into the PC front MOLLE and use it to keep the pack shoulder straps in the right place. 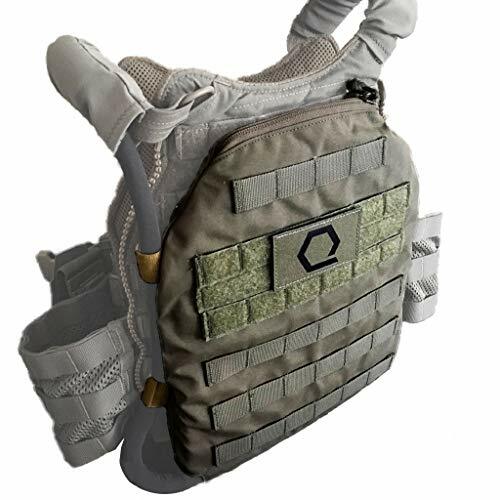 Here’s an innovative product you can use with just about any plate carrier: the Qore Performance IcePlate (Buy on Amazon). What is it? 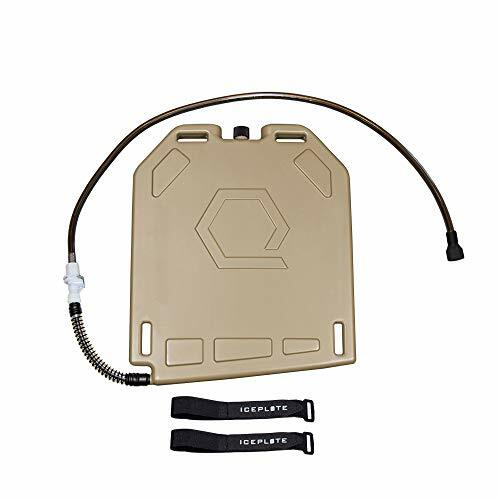 It’s an innovative hydration bladder shaped such that you can fit this between your base layer and plate carrier. You freeze the water inside to keep cool (and drink it as it melts), or you can fill it with warm water to cold weather. HYDRATION: Holds 50 oz. (1.5L) of water. Proprietary TotalDrain Technology lets you finally drink all the water you are carrying, meaning no wasted weight. IcePlate is 4 pounds when fully filled and is worn close to your body, distributing the minimal weight of the IcePlate evenly across your back or chest. Anti-Kink Spring prevents hose from kinking or other damage. HEATING AND COOLING: IcePlate is a multi-season solution. In summer: Fill with water and freeze for 4-6 hours. Wear frozen for conductive cooling effect for 2-5 hours. Drink water as it melts to stay hydrated. In winter: Fill with hot water from the tap (160 degrees). Wear over base layer for conductive heating effect and added hydration. SLIM DESIGN: 10" L x 12" H x 1" W (Same size as a medium SAPI). ONLY 1" wide, allowing IcePlate to be worn between your base layer and your plate carrier, as an insert in your backpack, or fixed to the outer portion of your pack. No more bulk. Game changer for Military, Law Enforcement, MilSim, Airsoft, Industrial, Travel, Commuting, and EDC. See video below for different kit set-ups. QUICK DISCONNECT (QD) COMPATIBILITY: QD is compatible with most QD systems and accessories on the market. BPA-FREE AND DISHWASHER SAFE: Made from a taste-free, BPA-free thermopolymer; Dishwasher safe (No cleaning kit required). Made in the USA. Again, the innovation here is the shape and form factor. Dimensions are 10″ L x 12″ H and only 1″ wide. This is the same size as a medium SAPI plate. It holds 1.5L or 50 oz of water. It is meant to be worn underneath the plate carrier (not in the plate pockets), but it can also be worn external to the plate carrier. It can also be carried inside an assault pack or ruck sack as well. It will fit inside the Haley FlatPack we described earlier, any of the GORUCK bags (except the bullet), and the 5.11 Rush series (except the Rush12). 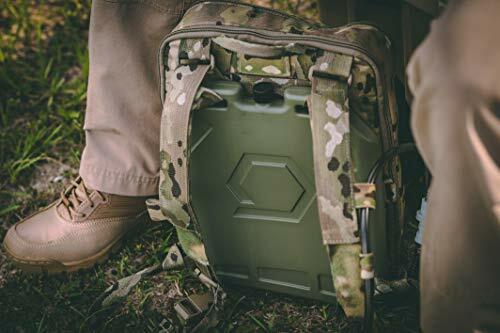 This is the best hydration bladder to use with a plate carrier – but also the best bladder to help you keep cool for a backpack too. Users indicate the IcePlate is great for all sorts of things – working outdoors, endurance running, and more. Want to mount it external to your PC or rucksack? Add the IcePlate MOLLE Sleeve (Buy on Amazon) for the best results. It’s a sleeve sized perfectly for the IcePlate – with plenty of MOLLE webbing to make it work with just about any gear. 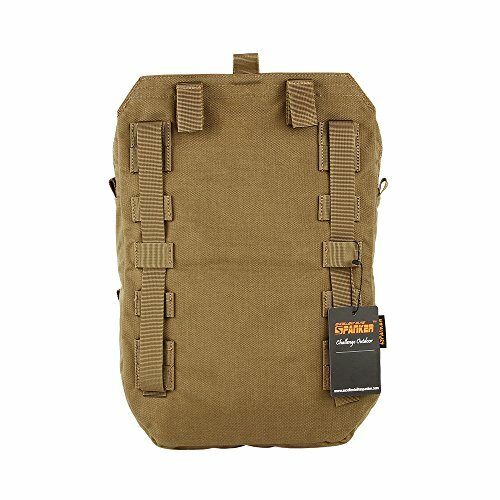 DURABILITY + PRACTICALITY: Rugged 500D Nylon construction features 6 full rows of MOLLE. Full three Row MOLLE Loop field for identification measures 8.5" w x 3" h.
NO-FAIL EXTERNAL MOUNTING: IMS6 lets operators mount heavy tools (AT4s, Base Plates, etc.) on the outside of a hydration source without rupture concern. LIGHTEST IN CLASS HARD CELL HYDRATION: Combine IMS6 with the Qore Performance IcePlate (sold separately) for optimized water carry. At just 1" thick, this combination provides the thinnest solution on the market. Side-mounted Drink Tube Retention Loops. EASY ACCESS: Custom-cut, bottom YKK Zipper with IcePlate PVC Zipper Pull. Bottom-loading design allows for quick IcePlate change-out. Top-access YKK Zipper with 550 Cord pull allows access to IcePlate screw-top to refill or add electrolytes without removing IcePlate. MADE IN THE USA: 100% Made in USA from US Materials. 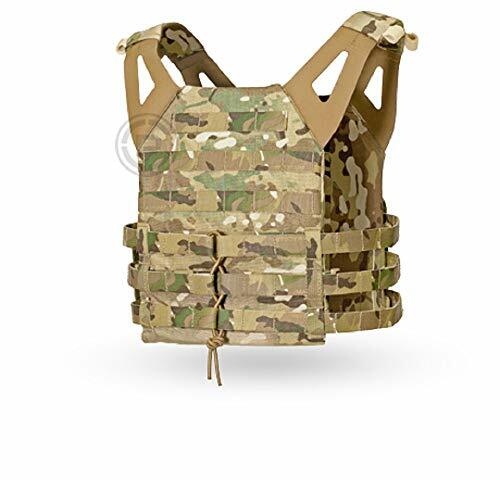 Here’s another option for carrying a hydration bladder external to a Plate Carrier. 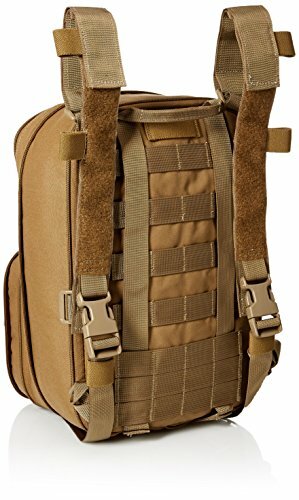 The Tactical MOLLE Hydration Pack (Buy on Amazon) can hold a 3L hydration bladder – and has two additional storage pockets. 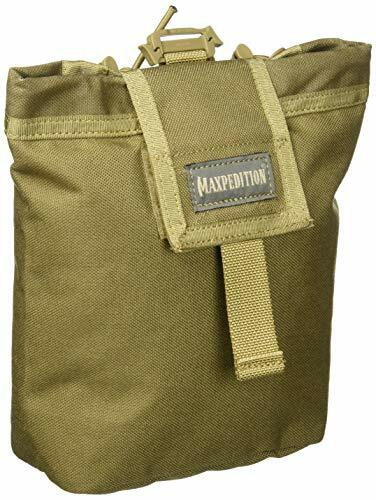 The beauty of this product is that it will fit a full 3L hydration bladder, and has another main pocket to be used for anything else you need to carry. 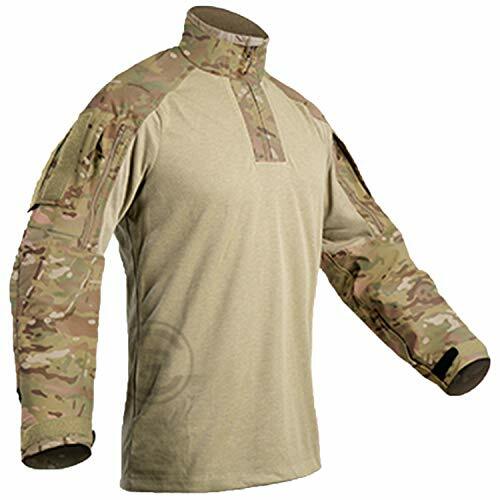 It’s available in a variety of colors – but the “multicam” option doesn’t look to be official Multicam. 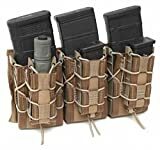 A fully loaded plate carrier is going to be heavy – so the best way to store it in the closet is to use a Tough Hook (Buy on Amazon). 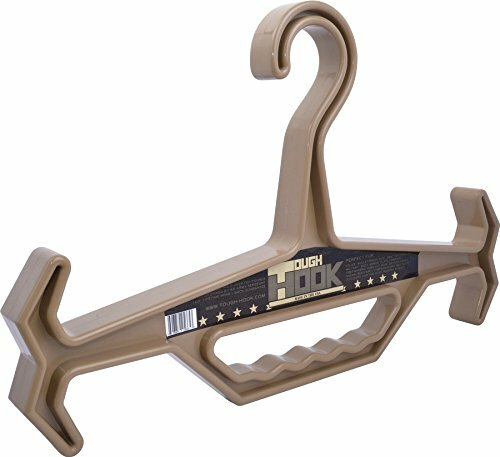 It’s the world’s toughest coat hanger. It will support up to 150 lbs and the I beam construction ensures this is near indestructible. What is especially great about this is how they’ve provided the hooks on the top to secure the shoulder straps. Here’s the other genius thing – it’s symmetrical – so flip it around and use the hand grip to carry – instead of the hook. The Tough Hook is great for use in vehicles too. 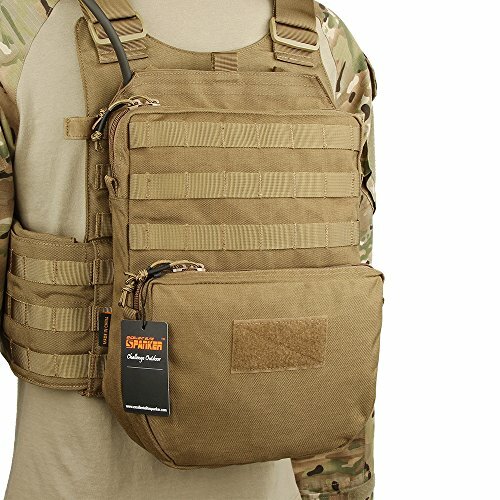 There are lots of options for Plate Carriers (PC). But if you want a minimalist, versatile PC the JPC is a great place to start. Add some vital accessories, and you have everything you need. Who makes the best bump helmet? We look at what you need in a good protective helmet - find out what the best gear is for 2019.